A new fitness craze is sweeping the globe, and it comes in the form of a Pokémon. 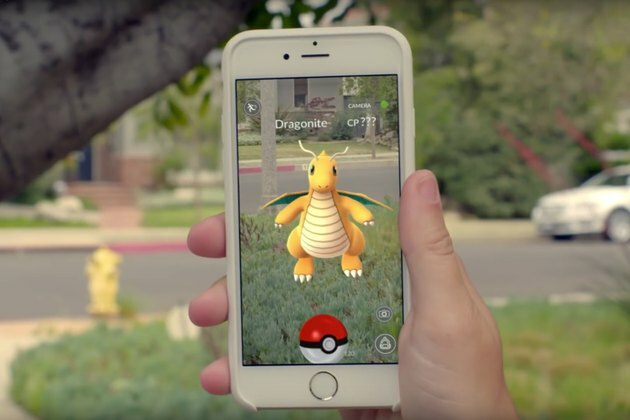 Augmented reality mobile game Pokémon GO encourages players to "step outside and catch Pokémon in the real world." In the process, the game has been sending players trekking far and wide in their cities and accidentally/on purpose giving normally sedentary gamers a workout. The game is also doubling as fitness tracker -- players need to log steps to hatch incubated eggs that turn into Pokémon. Incidentally, distances in the game are tracked using the metric system, leading to a spike in Google searches for "5 km to miles." But don't try to cheat the system: The game uses GPS to track movement, not a pedometer, so walking on a treadmill doesn't help with hatching. Using a car or bus ride to log kilometers doesn't seem to work either. Fan sites have speculated that there's an unconfirmed speed limit. The popular consensus is that a player must travel at no more than 10 miles per hour (or 16km per hour) to help eggs hatch. The game is available for both iPhone and Android devices. Read More: Can Walking Be Enough To Reduce Obesity in America? "Spent like 5 hours between two different outings today playing Pokemon Go," AntDude92 wrote on Twitter Sunday. "Won't be able to feel my legs tomorrow but hey, caught a Vulpix~"
Spent like 5 hours between two different outings today playing Pokemon Go. Niantic, Inc., released the game Wednesday, July 6, 2016, and it quickly shot to No. 1 in the iTunes and Google Play stores, surpassing 5 million downloads within five days of its release in the latter. In fact, the game's reception has been so extraordinary, that shares of Nintendo, which owns a third of Pokemon Company, got a $7.5 billion boost in market value on Monday after the release. A Pokémon -- for those who've been living in a remote cave since 1995 -- are fictional animated monsters that started life on the original Game Boy video game platform by Nintendo. In Pokémon GO, players explore their own cities to hunt for Pokémon. Players' phones vibrate when a Pokémon is near, and the player has to aim his or her smartphone at the creature and throw a Poké Ball to catch it. Players can collect more Poké Balls and other items at PokéStops, which include notable places like public art, monuments and other locations. The game is now available in the U.S., Australia and New Zealand and will begin rolling out to other countries soon. Visit the Pokémon GO website to learn more. Have you been bitten by the Pokémon GO bug? Have any of you players married your Pokemon GO habit with your Fitbit and tracked your steps? Let us know how you're faring in the game with a comment below!